Beck, a former Fox News host and author, says that Comcast and Time Warner Cable are denying TV viewers access to differing political viewpoints and that Comcast is seeking to protect news channels it owns—NBC, CNBC, and left-leaning MSNBC. Beck also claims that Comcast deleted his supporters' comments from its Facebook page. 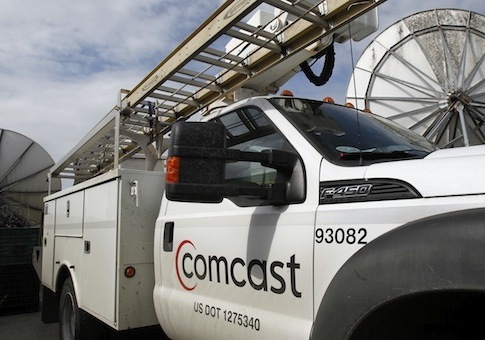 Comcast said Friday that it does not make decisions on what channels to carry based on politics. "Comcast has a stellar record supporting smaller, independent programmers—we carry over 160 independent networks and, since 2011, have launched four new minority-owned or managed independent networks, and have substantially expanded carriage of over 120 independent networks," Comcast executive vice president David L. Cohen said. Comcast’s top executives, including Cohen, have extensive ties to the Obama administration. This entry was posted in Issues and tagged Comcast, David L. Cohen, Democratic Donors. Bookmark the permalink.